University of the Arts in Bern student, Simon Walker, checks a small music speaker placed directly bellow a wheel of Emmental. That’s the finding of a recent experiment by researchers in Switzerland who set out to determine how soundwaves might affect the microorganisms that give cheese its flavor. 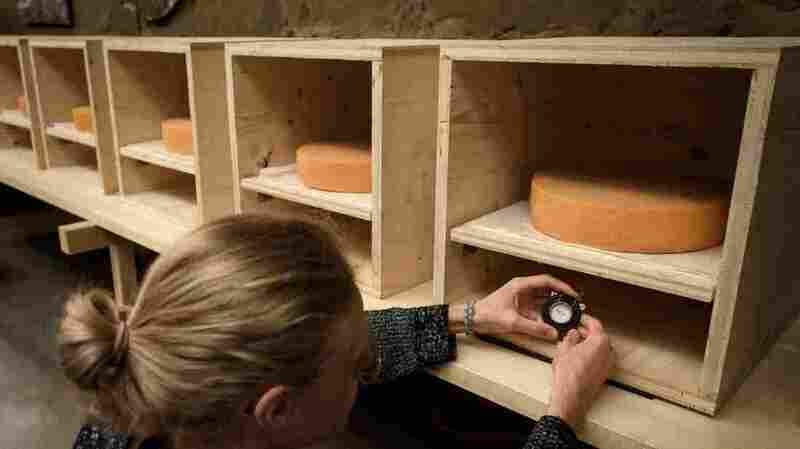 The experiment, titled Cheese in Surround Sound, started last fall with nine 22-pound wheels of Emmental cheese placed in nine separate wooden crates. The assorted fromage was played various types of sound waves and songs, including Mozart’s “The Magic Flute,” Led Zeppelin’s “Stairway to Heaven,” and “Jazz (We’ve Got)” from hip-hop legends A Tribe Called Quest. There was also one control cheese wheel that wasn’t given any music at all. 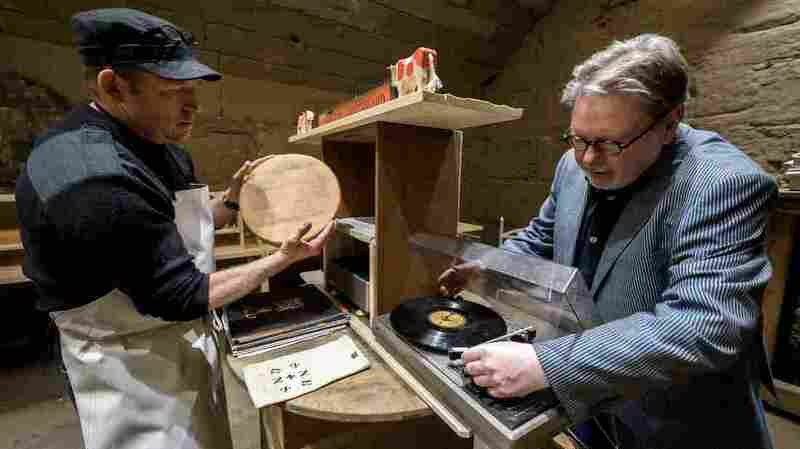 Swiss cheesemaker Beat Wampfler, left, and director of the Music Department at University of the Arts in Bern, Michael Harenberg pose with a vinyl record and a wheel of Emmental. Once the cheese matured, it was analyzed by professional food technologists, who concluded the cheese wheels exposed to music had a milder flavor compared to the control cheese. The group also determined the cheese that was played hip-hop had “a discernibly stronger smell and stronger, fruitier taste than the other test samples,” according to a summary of the experiment’s findings. “I like its flavor and so the hip-hop cheese was my favorite cheese … rock ‘n’ roll and techno, there was not such a big difference,” Beat Wampfler, a long-time cheese enthusiast who worked with researchers at Bern University of the Arts in Switzerland to create the experiment, told NPR’s Lulu Garcia-Navarro. There’s no report yet on how the sound of NPR might impact the taste of cheese. NPR’s Lynn Kim edited this story for broadcast.